Pirelli's Formula 1 tyres will have a shiny new look in 2019 as the result of a new production method being used to help get rid of imperfections. 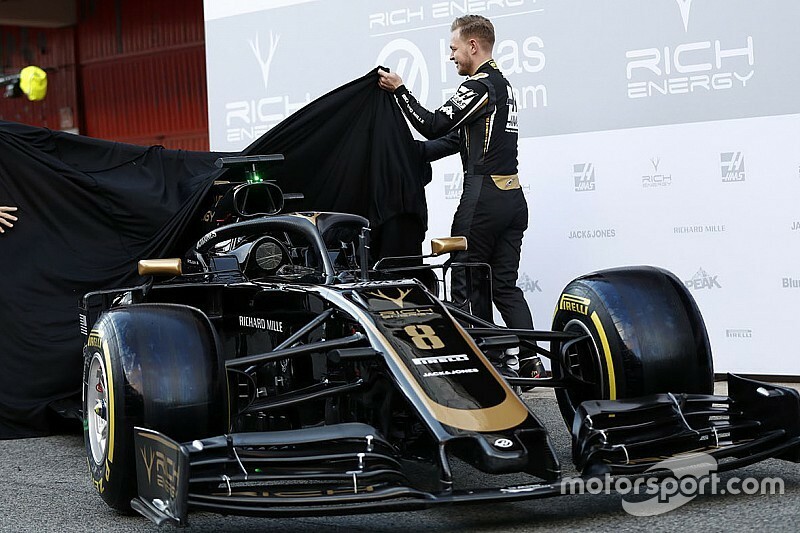 The extra glossy surface became clear on the opening day of F1's first pre-season test at Barcelona in Spain on Monday as the 2019 cars appeared for the first time. The change in appearance is a consequence of Pirelli shifting its production to use a chrome mould, which has been done to help ensure its softest tyres have a better surface. Asked about the change, Pirelli's racing manager Mario Isola said: "We are using new moulds that have a chrome treatment. We tested these for the first time last year in F2. "The reason why we introduced this technology is because the hypersoft last year and the C4/C5 [softest 2019 compounds], are very sticky and, when you vulcanise and cook the tyre, it is difficult for the mould sometime. "You see small imperfections on the tread because of this adhesion between the compound and the moulds. With the new moulds, they are a lot better. "They look nicer, in terms of technology it is better but the specification is the same that we used in Abu Dhabi [test] last year." 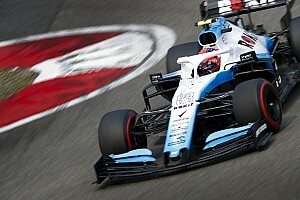 Isola said that the shiny surface did not mean there was any less grip when the new tyres were used for the first time. 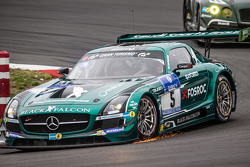 "It is something that out of the pit lane will not change anything," he said. "What could happen is that if the drivers fits a new set of tyres and they run slow laps, just because of the camber, they don't use the external side. So when they are back in the pit you will see the external side is still shining. But that is it." The shiny new look of the tyres is just one of several changes that Pirelli has undertaken for the 2019 season. Pirelli has reverted to just one intermediate and wet tyre this year, rather than having two options as there was in 2018. A new compound for the intermediate has ensured a better working range to cover the full range of dry to full wet conditions, while the new construction and compound wet would be better able to resist aquaplaning in more extreme weather. 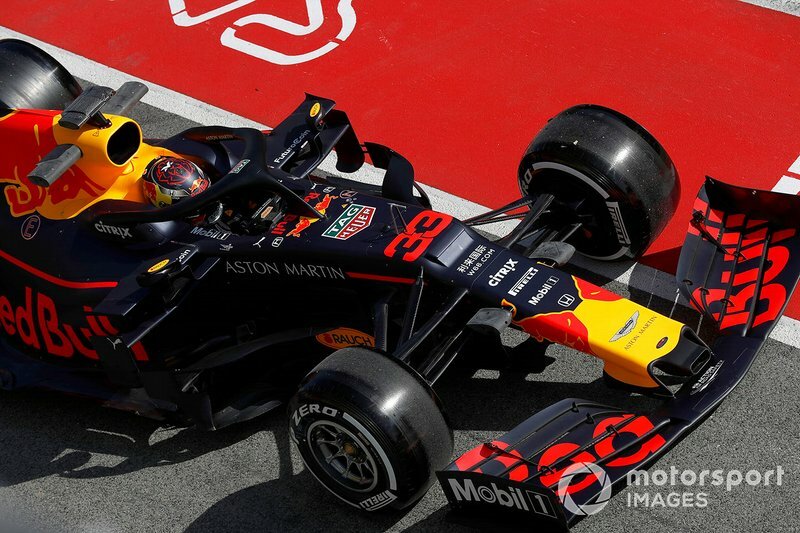 An original idea of restricting blanket heating of the front tyres to 80-degrees C has also been abandoned, with Pirelli and teams agreeing to keep it at 100 degrees. Isola explained: "We have decided to keep the maximum temp at the front at 100-degrees, while the temperature for the rear tyre is now down to 80 degrees. "With 80 degrees for the rear tyre, we have the opportunity to give them lower prescription in terms of pressure. Compared to last year's first test we have 2 psi less in the rear tyres." F1's 2019 tyres will also have higher working ranges compared to last year in order to reduce the potential for overheating.